Adventure Hounds: Raising the standards for dog walkers everywhere. Adventure Hounds' primary goal is to address issues that have been plaguing the pet care industry for years. Because the industry is largely unregulated, you may not always be given the best standard of care for your pet. Here at Adventure Hounds, we go above and beyond to ensure the health and safety of your beloved pet at all times. At Adventure Hounds, safety is of utmost importance. I understand that your pet is a part of your family, and they will always be treated as a part of mine. I provide structure and consistency on every walk, and in each interaction I have with the dogs. Although the canine companions and the trails may change, the rules and expectations on walks are always the same. Every dog is different, and sometimes what works for one dog will not work for another. I take a balanced approach to handling and training dogs, and I utilize an array of training techniques and tools. Adventure Hounds was founded in September of 2014, shortly after I moved to Surrey. I was commuting to Vancouver for work each day, and I was unable to bring my two dogs with me. After searching tirelessly for a dog walker in Surrey, I was unable to find someone that I felt I could trust my dogs with – so I decided to start my own company. 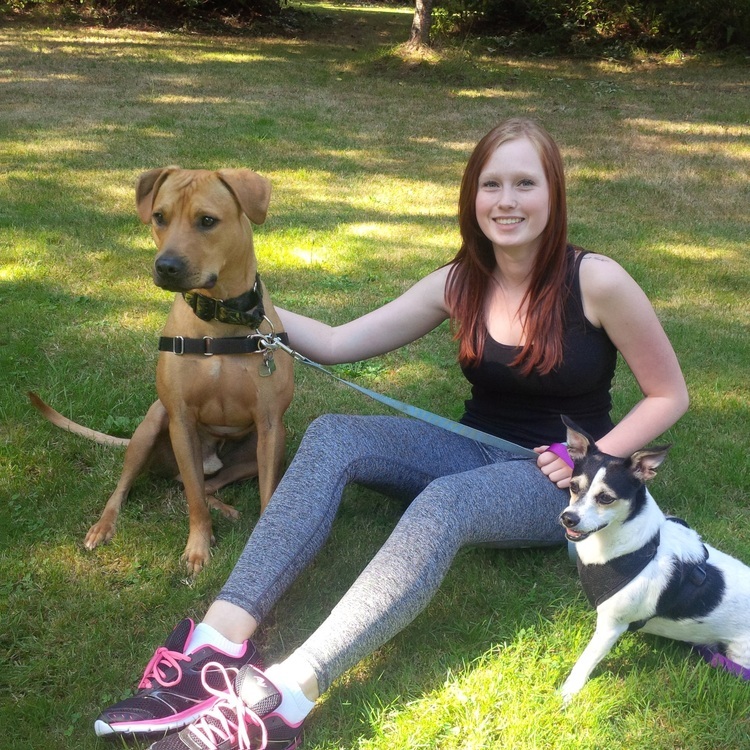 With nearly six years of professional dog walking experience behind me, and after managing a fantastic pet care company in Vancouver for the past two years, I knew I could provide top of the line care for pets in South Surrey and White Rock! Prior to owning Adventure Hounds, I was a professional dog walker for nearly 6 years in Vancouver. Over those 6 years, I worked at two different dog walking companies, and was the manager of one of them for over 2 years. I have experience working in a dog daycare, grooming shop and a boarding kennel. I also have many years of experience working as a volunteer for the Richmond Animal Protection Society, HugABull Advocacy and Rescue Society, and as a foster for Vancouver Orphan Kitten Rescue as well as Rocky Mountain Animal Rescue. I am fully trained in Pet First Aid and CPR through Dogsafe, and I have been through the Veterinary Assistant Program at Granville College.